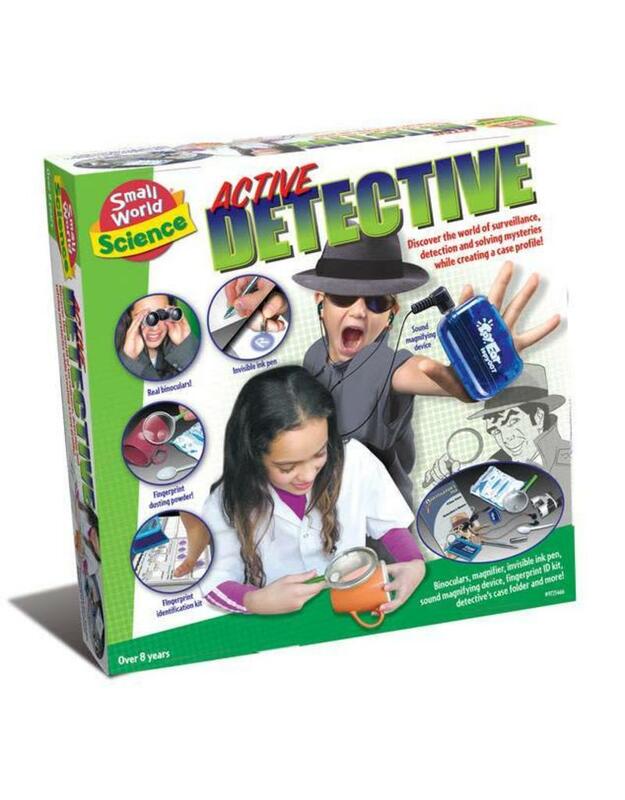 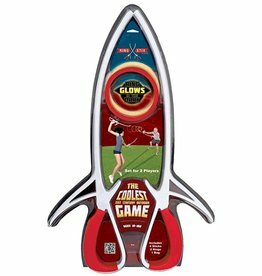 Solve mysteries with the Active Detective kit from Small World Science. 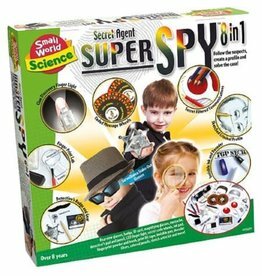 Everything a young investigator needs to role-play being a spy or a detective Includes binoculars, fingerprint identification kit, secret invisible ink pen and ultraviolet flashlight, plus eavesdropping device (battery included). 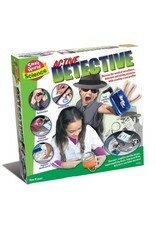 Also includes stamp pad, plaster, and detective's folder with pages for fingerprints, surveillance and crime scene notes.